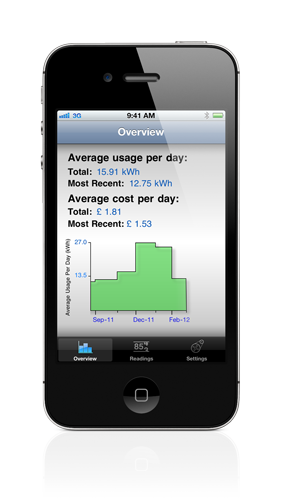 Electric usage tracker designed for the UK. Easily see on a graph if your usage increases at certain times of the year. • Works with standard, economy 7, & economy 10 tariffs. • Enter your tariff details in the settings tab and once you have recorded two readings the overview data and graph will appear. 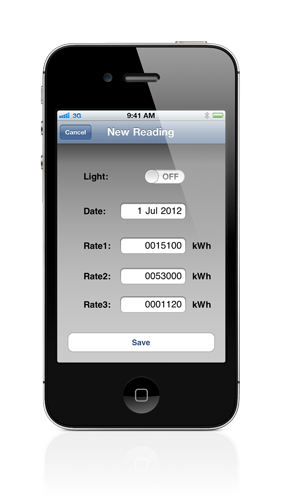 • You can use the rear light on your iPhone to illuminate your meter while taking the reading. • When the reminder option is switched on you will receive an alert 30 days after your last reading. • For best results take a reading approximately once a month.